Arden Neisser's classic on American Sign Language (ASL) is again available, with a new prologue. The Other Side of Silence chronicles the culture and issues of the Deaf community through telling interviews and research from across the country. In widely varying encounters, Neisser heard Deaf individuals recall how teachers suppressed the use of ASL in the school, how linguists fostered conflicting theories, and how various institutions diluted ASL to suit hearing patrons. 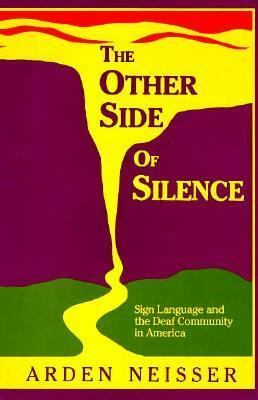 This seminal book reveals the warmth, creativity, and resilience of Deaf people, and culminates in an update of the community today.Neisser, Arden is the author of 'Other Side of Silence Sign Language and the Deaf Community in America', published 1990 under ISBN 9780930323646 and ISBN 0930323645.